Bombay Shirt Company (BSC) is quite chilled out about its custom made shirts USP. I gathered that from no mention of the word ‘bespoke’, the luxury synonym for custom made, on their website. Keeping it real. Bombay Shirt Company can make you a custom shirt, including your collar style, button choice, monogram and more, with prices starting at under 2000 bucks. You can choose it all online in under 5 minutes, don’t need to have your measurements handy and the variety of their fabric selection (over 400 online!) is top notch. The website is very visual and easy to navigate. 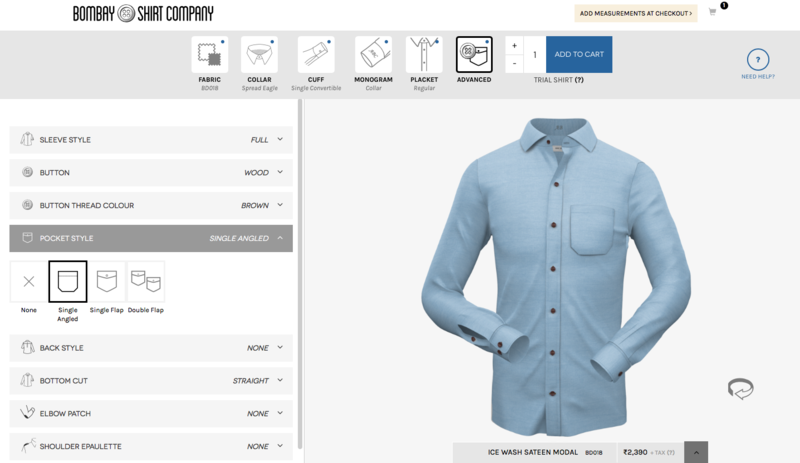 At the heart of it is the shirt simulator that gets going once you pick a fabric. As you move along and make your modifications and customisations, they’ll keep rendering updates and show it real time in the simulation. A word here about the fabric selection. Very good variety and tastefully picked up colours, prints and patterns. From basic office shirts to more adventurous prints, it’s all done well. Next on my personal agenda is to go down to their store and check out the Japanese fabrics. They look very exciting and high quality. So essentially, given the range of fabrics available and how well they have selected shades and prints, you shouldn’t have too much difficulty in finding something in the genre you’re searching. This could keep you engrossed and entertained for hours on end. But it is exactly what allows you to really put the personal and custom touch into your shirt. It isn’t just about size and fit. Customisations aren’t chargeable add-ons. Quoted price when choosing fabric is the check-out price, plus tax, no matter what configuration you like. You can end up with a denim shirt having a button down collar and a paisley contrast on the inner cuff. Or a white satin French cuff shirt with a contrast placket and a monogram on the inside of the collar. The possibilities are endless. And customisations aren’t chargeable add-ons. The quoted price when choosing fabric is the check-out price, plus tax. This includes whatever configuration you would like. The other cool thing is even within the entry price band of ₹2,000-3,000, there is a great selection of formal, semi-formal and casual shirts. Each category is well represented without having to resort to higher priced options, where you head in with a defined budget. I will admit my initial reservation to order a custom made article online. This is because the traditional mode of going about it is standing stiff before a mirror with Masterji’s measuring tape following your shape. But honestly, ordering your BSC shirt online is not that difficult if you happen to get hold of your shirt measurements. Or trust their online measurement tool. Of course, the most effective of all is to just do the tape routine once with Masterji at one of their stores. It’s possible that the sheer number of options may be intimidating and could push you into a conservative, tried and tested choice. But neat little graphic explanations coupled with the simulator help visualise and make sense of the options at hand. Each customisation option is explained, and if chosen, its outcome is indicated on the dynamic simulator. So at each step you are able to review the design. This is what helped me feel confident about it. It’s online, but it works. Small suggestion here: Go for a cheaper shirt if its your first purchase at a custom shop. I would tend to follow this approach even with a physical store. Once you’re happy with the job done, you can go all out. If you don’t know what your shirt measurements are, Bombay Shirt Company has a quick and handy online tool to predict measurements through 6 easy questions. Called FitSmart, it’s the easiest way to get a custom, but not tailored fit. I say custom, not tailored, because while the sizes the tool gives out are tweaks to off-the-shelf sizes, there will still be room to make ever-so-slight changes for it to be perfectly fitted. Realistically, this may only be done using a tailor and measuring tape. HOWEVER. From my own personal experience, my predictive measurements were bang on, when reviewed against my measurements from another renowned custom shop I had earlier visited. This was a cool experience where technology did something that I thought would remain in the human domain. If you want to tweak the outcomes of your FitSmart measurements, that’s totally doable too. You can just punch it in. Bombay Shirt Company really gives you all possible options to make it easier to get the right fit. I have a fairly hard time finding good shirts in the mid-range and my requirements are quite basic – Soft shades and good finish. Nothing too wild. But the lack of options is really inexplicable at times. Also, the finish and style often leave something to be desired in terms of quality. Everywhere you look there are stacks of whites, blues and pinks with some purple thrown in for good measure. The same checks, same stripes and same oversaturated colours. This is where the design sensibility of Bombay Shirt Company is welcome. And they seem to do it well across different genres of dressing – From office whites to casual linen to party prints. At the same time, there are enough options off the beaten path to choose from, to bring in a level of individuality to your wardrobe. In the clothing industry, readymade is the order of the day. However, some amount of compromise is inevitable with any cookie-cutter approach. The joy of that perfect fit is unknown to many till that one article comes along that makes you wonder why all your clothes can’t fit that way. They actually can. If you buy from the same brand or if you go the custom route. Some of you would already have your places of choice for where you get that perfect fit. Changes everything, doesn’t it? I, too, have that one shirt that kicked it all off. It was off-the shelf but fit like a dream, so it has followed me a few times that I have given measurements. This way I can show the person in-charge of my next shirt what I enjoy and consider a good fit for myself. 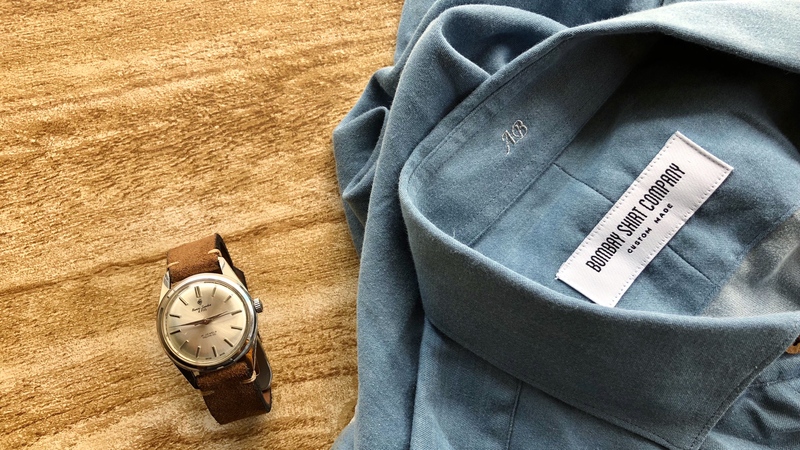 Bombay Shirt Company is, without a doubt, one of the top homegrown Indian brands in the indie space, demonstrated by the honest of their offering, quality of their service and how they have even expanded overseas. Who’s it for: The consumer for whom fit is everything and matters more than anything else. And one who doesn’t want to wait till something catches their eye at a store window. Talking point: Custom shirts made and fitted like you desire – All online in under 5 minutes start to finish. Even quicker for subsequent purchases, as your measurements are saved with them. Pricing: Price for shirts starts at ₹2,000 going up to ₹10,000 for shirts with premium fabric. Most shirts priced around ₹3,000 get you double ply Egyptian cotton. 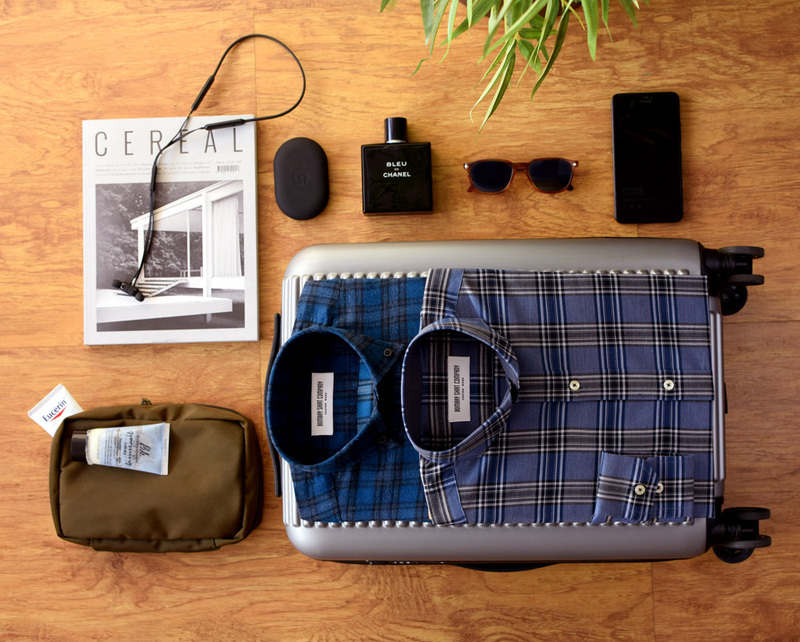 Bombay Shirt Company currently has stores in 7 cities across 3 countries. This spans Mumbai, Delhi, Kolkata, Bengaluru, Chennai, New York and Dubai. You will find a larger selection of fabrics in-store compared with what you see online. This mode also works better for your first purchase, so you can get your measurements right. But it’s a little more fun ordering their shirts online from bombayshirts.com. 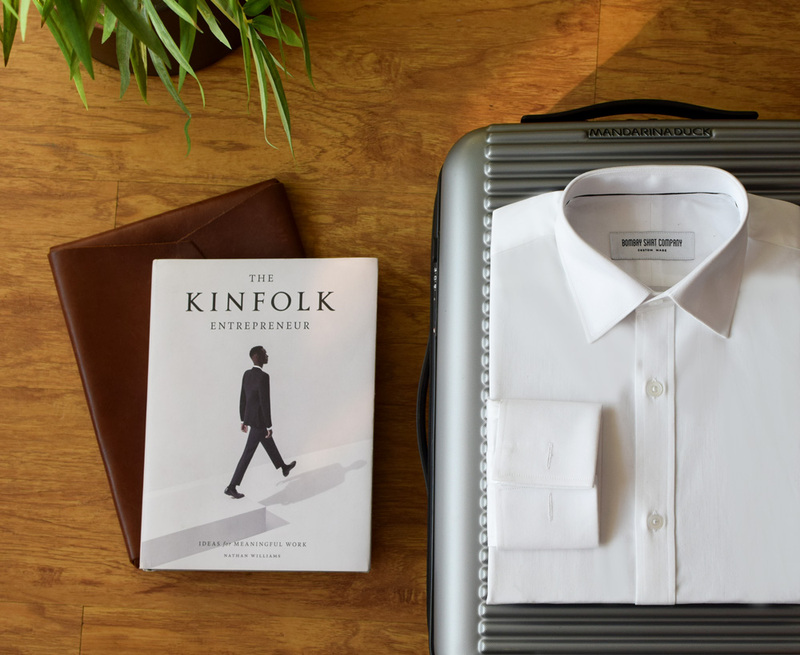 As I had mentioned, navigation is a breeze and you can have your shirt and size configured in under 5 minutes, including browsing and choosing time. They offer alterations in-store or you could also send the shirt back to them in Mumbai if you’re in a city without a Bombay Shirt Company store. How did you hear about Bombay Shirt Company? Let us know in the comments below. And if you found this story interesting or useful, please spread the indie brand goodness by sharing it! Photos Courtesy: Bombay Shirt Company (bombayshirts.com), Cover image by DEFINITELY CURRY.